As the built environment ages, demolition has become a rapidly growing industry offering major employment opportunities. During the 1990s the number of contractors grew by nearly 60 percent and there are now over 800 US companies focused on demolition, as well as many more offering this service as part of their portfolio. It has also become an increasingly complex business, requiring a unique combination of project management skills, legal and contractual knowledge, and engineering skills from its practitioners. 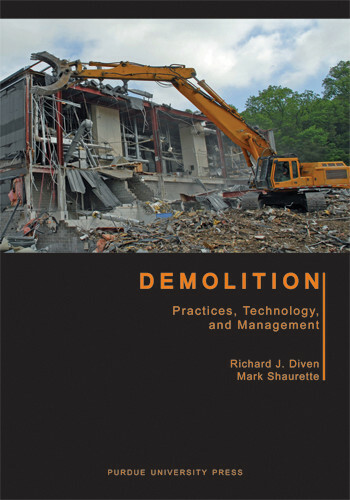 Created in partnership with the National Demolition Association, Demolition: Practices, Technology, and Management is written specifically with students of construction management and engineering in mind, although it will also be an invaluable reference resource for anyone involved in demolition projects. Since demolition has become such a central part of construction management, this audience includes practicing architects and engineers, general contractors, building and manufacturing facility owners, as well as government officials and regulators. Covered in the book is the full range of technical and management issues encountered by the demolition contractor and those who hire demolition contractors. These include modern demolition practices, the impact of different construction types, demolition regulations, estimating demolition work, demolition contracts, safety on the demolition project, typical demolition equipment, debris handling and recycling, use of explosives, demolition contractors' participation in disaster response, and demolition project management. "I think this may be the best publication on demolition I have seen and it is a good contribution to the literature. 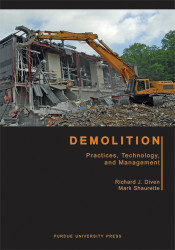 It thoroughly explains demolition in an easy to understand, approachable fashion. It is well referenced and does a good job of covering regulatory issues." Richard J. Diven has almost forty years experience in the demolition industry, as a member of the senior management team at structural demolition company ICONCO between 1964 and 2000, and as founder of R. J. Diven Consulting, LLC. He has played a key role in projects ranging from earthquake repairs in Los Angeles to the demolition of aircraft hangars in Pearl Harbor. Mark Shaurette is an assistant professor in Building Construction Management at Purdue University. He was previously president of Meridian Homes, Inc., and vice president of Ryan Homes. He has a Master’s degree in Civil Engineering from MIT and a PhD from Purdue University.